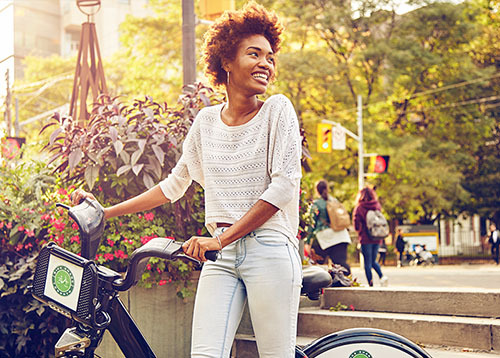 Encourage active transportation as a benefit or reward, while strengthening your organization's commitment to green initiatives with Bike Share Toronto's Corporate Membership Program. Why do employees love having Bike Share Toronto as a work perk? 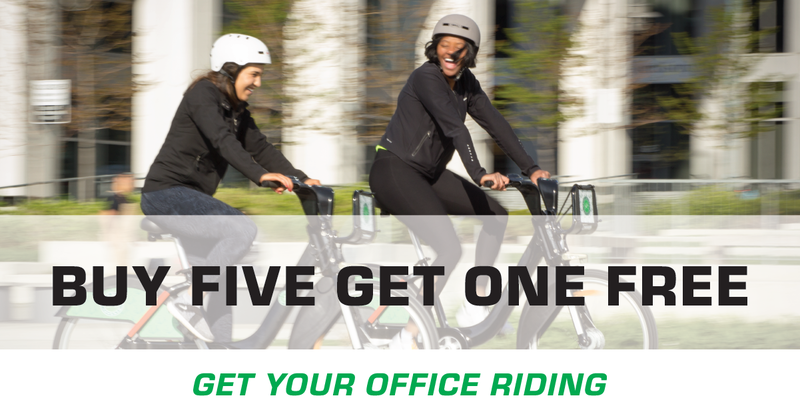 Get your office riding at a discounted rate of $90 per employee, with minimum purchase of five, with a buy 5 get 1 free promotion. Employees are responsible for maintaining their Bike Share Toronto accounts and paying any overage fees accumulated. Contact your HR department or email us at marketing@bikesharetoronto.com to get your organization riding with Bike Share Toronto.